The Government is all electrified about autonomous vehicles. Like governments elsewhere, it sees huge and vast potential in this new technology. And it has little to do with revenue for it. Last month, it launched a request for information (RFI) for mobility- on-demand and autonomous buses trials at One-North business park. If successful, autonomous buses could improve commuter service without the perennial constraints of labour cost or labour shortage. 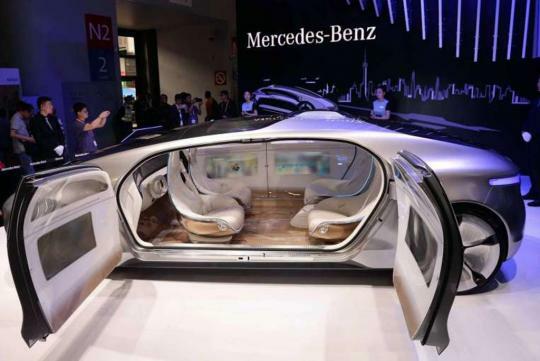 Mobility-on-demand services could involve driverless pod-like vehicles zipping about to make first-last mile connections. Commuters could book a ride via the Internet or a smartphone app. Besides One-North, trials could be extended to low-traffic but high-visibility spots such as Gardens by the Bay and Sentosa. If successful, these pods may replace electric bicycles and other motorised devices which are increasingly hogging the pavement today. Studies are also being conducted on new fare collection systems using "near-field communication" technology. This means no more having to tap on a farecard reader. The advantage of this is speed. Today, buses are held up at bus stops because of all the tapping. The downside is that there might be a rise in fare cheats since it will be difficult for the bus driver to detect commuters who do not have a farecard on them. And when buses are driverless, the propensity to cheat rises further, as people are likely to feel far less guilty about hoodwinking a machine. That is something to be ironed out at the trials, I'm sure. But it would be shortsighted to limit autonomous technology to buses and pods. Think of the potential for freeing up road space if goods vehicles were autonomous. Vans and trucks could make deliveries in the wee hours, when roads have the least traffic. Goods vehicles, despite being smaller in numbers than passenger cars, clock twice the mileage of cars. Of course, autonomous vans and trucks work best if loading and unloading can be automated too. But why stop at commercial vehicles? If autonomous technology works, why shouldn't cars be driverless too? A research paper by the Massachusetts Institute of Technology's (MIT) Smart Future Mobility team shows that Singapore's mobility needs can be met with just 30 per cent of its existing vehicles. Imagine that. That assumption is based on a fleet of shared automomous vehicles which are able to optimise vehicle occupancy by infinitesimally matching origins and destinations. The algorithm required for this will be a marvel. But if we get it right, there will be no more need for taxis. No more Uber charging $100 for a ride during an MRT breakdown, either. In fact, the island's entire fleet of driverless vehicles can be mobilised to ferry passengers stranded by a rail incident. Happiness, right? In such a utopian state, will car brands matter as much as they do today? Will sales ranking matter? This week, Volvo proudly announced that it made it to the top 10 bestsellers list here for the first half of the year. The Swedish brand ranked 10th, behind South Korea's Kia. Toyota retained its pole position, followed, at a distance, by Mercedes-Benz, Honda and Mazda. Volkswagen, which used to be among the top three, fell to seventh place. BMW, which used to be neck and neck with Merc, was in sixth. Would autonomous technology blur the line between privately owned cars and shared vehicles such as taxis? If so, do we care what brand our taxis are? Going off on a tangent, will pump prices be as contentious as they are today? If you are an end-user of a fleet of autonomous vehicles, your monthly fee will probably consist of a mix of trips made, distance clocked, time of travel (peak or off-peak) and number of seats occupied. Fuel cost will be part of the mix. And any pump price increase will be harder to detect. Unlike today, when motorists may question why pump prices are still largely unchanged from two months ago - after crude oil prices have fallen by more than 20 per cent. Life asked a couple of oil companies why this was so. One American major muttered something about the US dollar having appreciated, but was far from specific. Others could not even come up with an excuse, however lame. Hopefully, autonomous vehicles will be electric. So we can finally break free from the tyranny of the pump. If the MIT study is correct and we can get by with just one-third of the vehicle population, and if goods vehicles ply only between 1am and 5am, there will be no need for road-pricing. But what will happen to our long love affair with the car, then? I reckon the desire to drive will still be there. Because there is nothing quite like being behind the wheel of a powerful and graceful car. In the future, such cars might exist beyond the autonomous sphere. They will exist purely for driving pleasure. Wasn't it Porsche which once predicted that the last car (as we know it) to be made will be a sports car? What about all those deliveries that require an office to be open, or someone to be there to receive (or send) the goods?